Integrating vScope with your organization’s directory service allows you to reuse domain accounts to login to vScope. When integrationg with larger domains it might take vScope some time to authenticate and resolve the group membership of users. 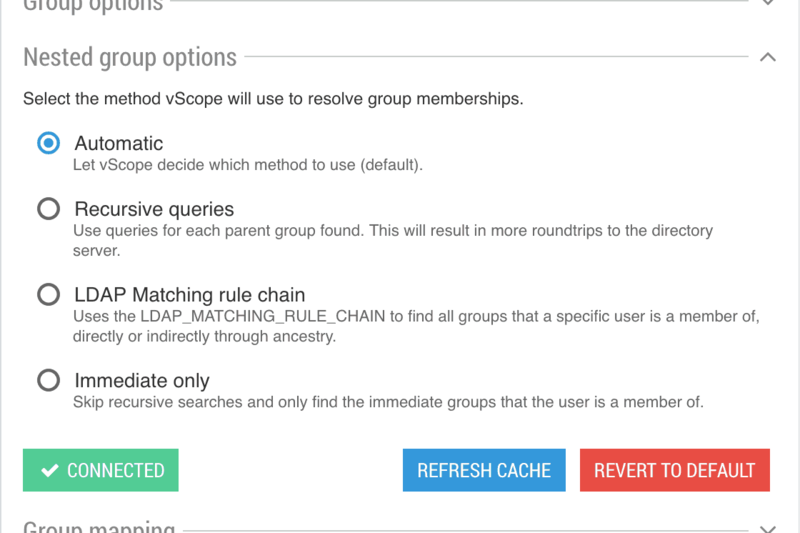 In order to speed up the authentication you can set the method of how vScope resolve the membership. You find this setting under: Settings -> LDAP/AD integration -> Nested group options.